Christina Geiger has been appointed to one of the storied positions in the auction world: head of the rare books and manuscripts department at Christie’s in New York. It’s a role in which several men have risen to prominence: Stephen Massey, Francis Wahlgren, and Tom Lecky. Christina is the first woman to take the helm. 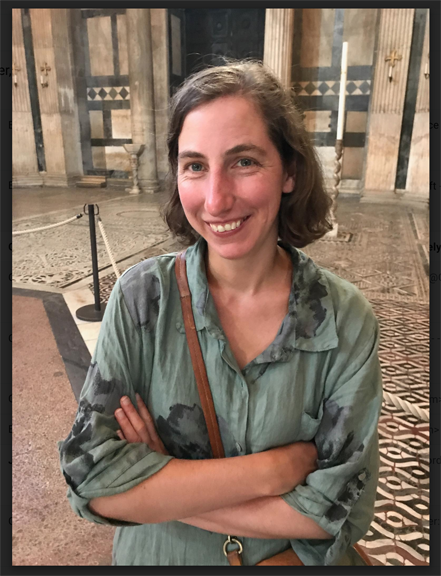 She leads a team of four other specialists: Senior Americana, Books, and Manuscripts Specialist Peter Klarnet; Junior Specialist Rhiannon Knol; Associate Specialist Heather Weintraub; and her own soon-to-be-appointed replacement as Senior Specialist in Books and Manuscripts. Christina has spent her entire career in the auction world. A few months after graduating from Williams College in 1996 she became an administrator at Christie’s, working in the image archives. She transitioned to the rare book department four years later—first at Christie’s East and soon afterwards at the then-new offices at Rockefeller Center. In 2002, she moved home to California for a spell, cataloguing and appraising books at PBA Galleries in San Francisco for four years. She was subsequently hired by Bonhams Auctioneers to open their Book Department in New York and led their inaugural New York auction of Fine Books & Manuscripts in December 2006. In 2010, she was principal specialist for the most valuable sale in that department’s history: The American Experience: 1630-1890 consigned by yours truly, Bruce McKinney. After a busy, full decade of auctions at Bonhams, she came back full circle to where she started—at Christie’s New York. The first ever Online sale to be conducted by the New York Books Department: Write Me and Tell Me Your Heart: Leonard Cohen’s Letters to Marianne. June 5 – June 13. Christina Geiger lives in Brooklyn, New York with her husband, the documentary cinematographer Liam Dalzell, their ten-year-old son Henry Dalzell, and their dog (beagle-mix), Julie.